The last two players off the practice field for the Detroit Lions Monday afternoon were 10-year veteran defensive tackle Ricky Jean Francois and rookie defensive lineman Da’Shawn Hand. The two spent extra time after practice one-on-one going through some technique and fundamental work. That was after the entire defensive line stayed out after practice to work through pass-rush drills with the dummies. The veteran Francois was dropping some of the tools of the trade he’s learned through 10 years of experience on the rookie fourth-round pick. Hand was like a sponge soaking it all in. It’s become a bit of a routine for the pair to work together on their own after practice, and Hand says he gets a ton out of those sessions with Francois.  Hand (6-3, 297) is a powerful athlete the Lions can play both inside in the three-technique or outside as a big edge player. It’s exactly how Alabama used him in their similar gap-control scheme. Detroit gave up a third-round pick in next year’s draft to move up and select Hand in the fourth round. They liked his versatility, athleticism and familiarity with their schemes. Hand’s made steady strides, and has shown off that versatility since arriving in Allen Park. Fans got to see him in game action for the first time against Oakland last Friday.  He played 29 snaps in his preseason debut, finishing with three tackles, two solo stops and one quarterback hurry. He held up very well at the point of attack, and was a handful for Raiders offensive linemen to move off his spot, even when double teamed. 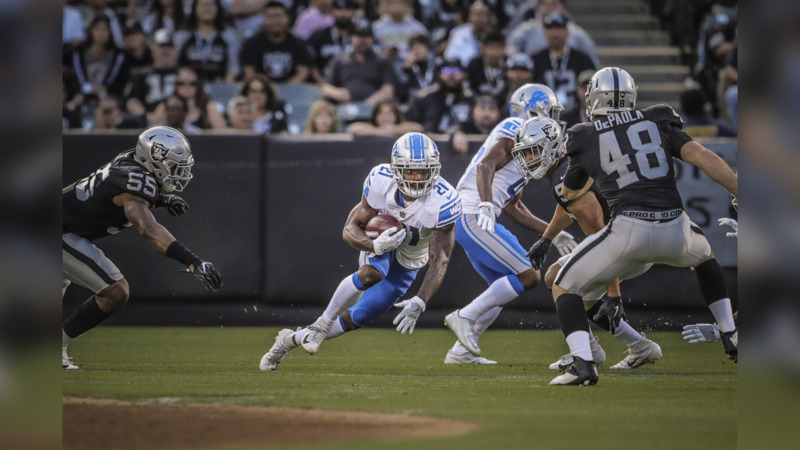 View the best stylized photos from the Detroit Lions' preseason opener against the Oakland Raiders courtesy of team photographer Gavin Smith. “I thought he did a good job,” head coach Matt Patricia said of Hand’s performance in the preseason opener. “I thought he really tried to play with technique. He’s familiar with our technique, I would say, from coming out of college. Familiar type of system in the way that we play. “I thought he did a really good job for a young guy. Stepped in, made some plays, was in some good positions, good situational football, too. The rookie has been steady throughout the course of training camp, and was even awarded some first-team reps in practice Monday. This defensive line is still very much a work in progress. The Raiders were able to make too many gains in the run game Friday night, and the Lions didn’t get to Oakland quarterbacks nearly enough. But one positive to come out of that group was the play of Hand in his first NFL action. It was a good debut for the rookie.  Now the Lions will be looking for him to build on that performance this week in joint practices with the New York Giants, and then Friday night at Ford Field, where he gets to play in front of the home crowd for the first time.